A few months ago I started collaborating with Jordan Waraksa on a project that is currently on display at the Haggerty Museum of Art, in a show running until the end of December. 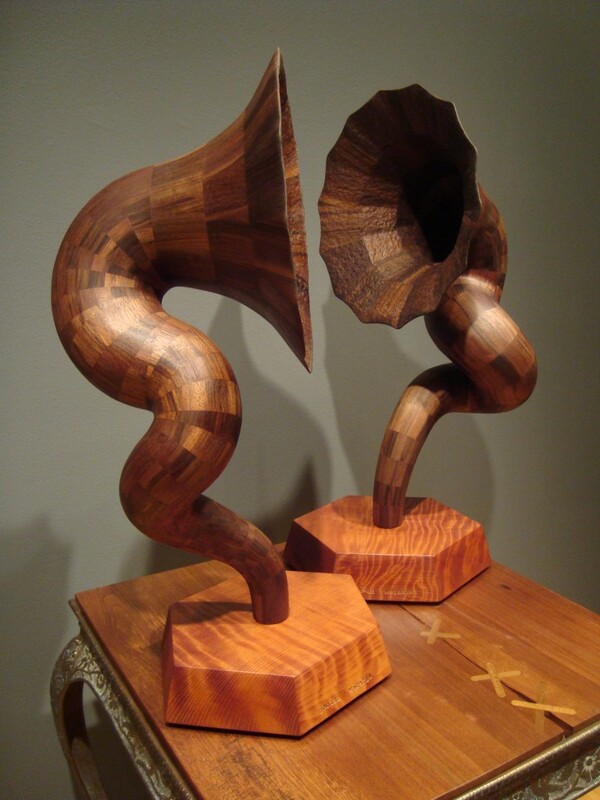 He sculpted a pair of wooden acoustic horns called Bellaphone 5 & 6 out of walnut. 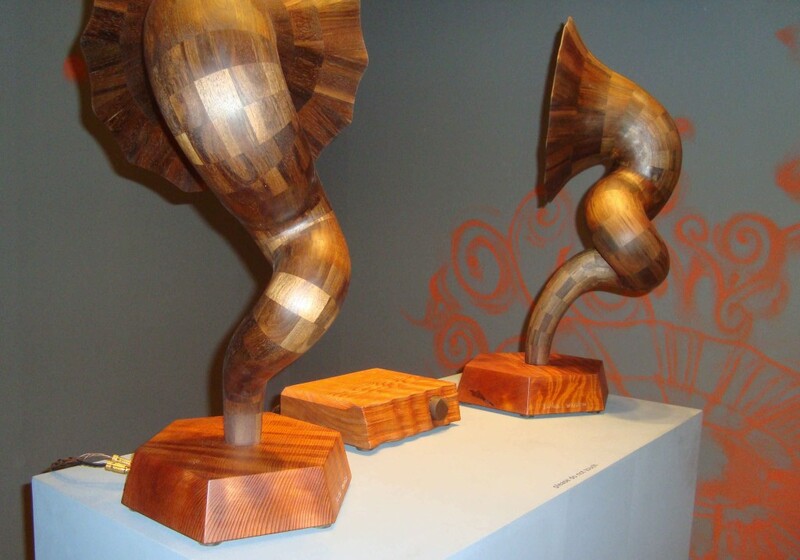 Each horn rests on a redwood base that houses a small speaker. If you visit the Haggerty, you’ll hear the speakers playing songs by Jordan’s band, The Vitrolum Republic. If you really love the Bellaphones and amplifier, know they are for sale. 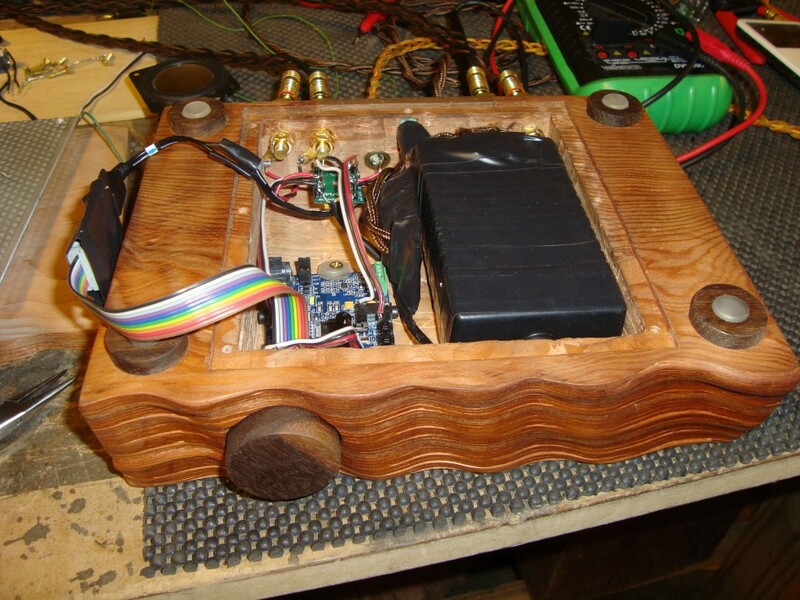 I developed and built the electronics for the horn’s amplifier, whose chassis Jordan also sculpted from redwood. Because the chassis is wood and has no vents (for aesthetics), electrical efficiency became a high priority in order to prevent overheating. I chose to use a Maxim 98400A class D amplifier driven by a high efficiency switching 15V DC power supply. I added a digital signal processing chip from Analog Devices to increase the bandwidth of the horn and smooth out its frequency response (i.e. to improve the audio fidelity). Analog’s ADAU1701 is a remarkably powerful chip – it is more than capable of these tasks. In addition, the 1701 prevents bass notes (frequencies below 100 Hz) from reaching the small speakers (which are incapable of reproducing these low notes), which would otherwise emanate from the horns as distortion. Finally, the 1701 also adds a small amount of compression, which prevents distortion at the loudest output levels. The 1701 is actually real-time programmable via a USB connection to a computer running Analog Device’s free SigmaStudio software. It’s a tremendously user friendly GUI environment with drag and drop audio processing blocks. Check out the inside of the amplifier as it was being assembled, prior to the addition of many ferrite beads which eliminate the audible noise from the three high efficiency switching power supplies: One powering the amp, one powering the DSP board, and one continuously charging a Motorola Cliq XT handset playing songs from the Vitrolum Republic. 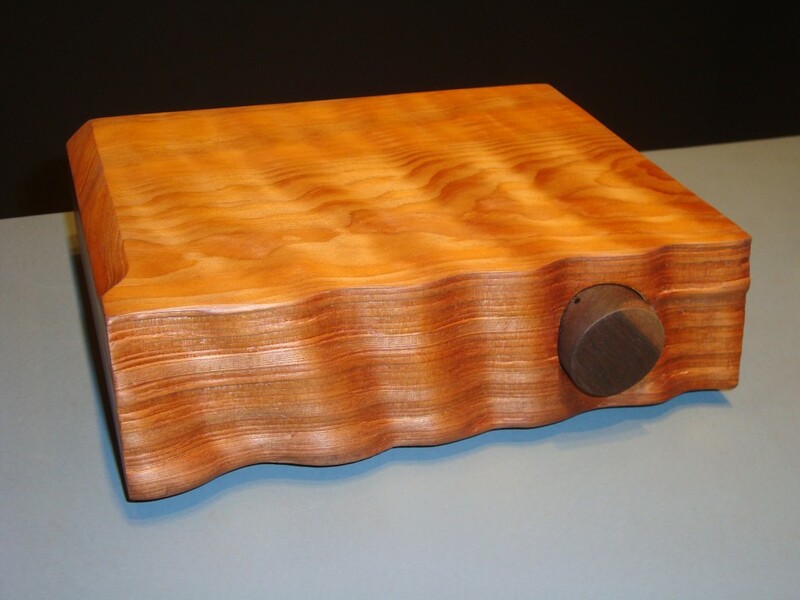 This entry was posted in Acoustics, art, audio, electronics, music. Bookmark the permalink.